Using CSS to add visual effects to the elements can yield some pretty sharp results while still having the speed and minimal bandwith of lightweight HTML and CSS text files. In addition, using the semantic fieldset and legend elements provides additional information about the form fields and their relationships in a machine-readable format, rather than just splattering a bunch of colored div boxes and styled text on the form. This is a great aid to tools used by the vision-impaired to provide more context to their users, and to search engines trying to derive the context of your forms. 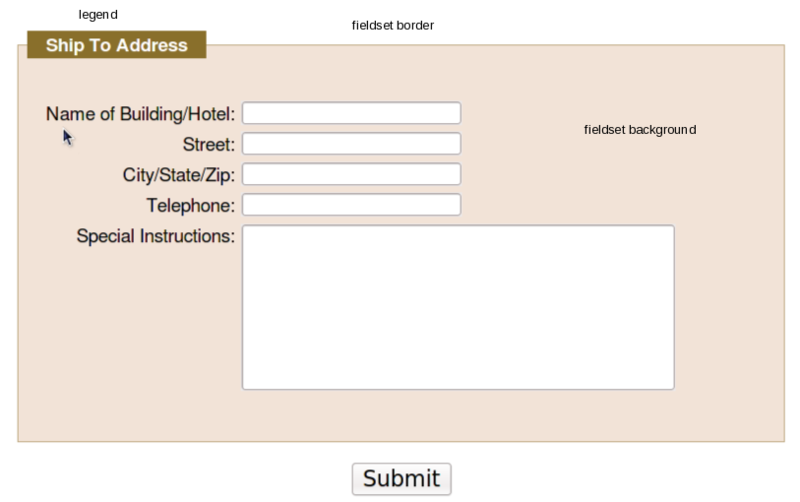 So, the next time you’re called upon to draw up an HTML data entry form, keep in mind that you can group your elements with fieldsets and use legends to add more contextual information to your design.